Contrary to what you’ve been told, the most critical part of these events is learning. There is no single winner – everybody wins. You and your team will prototype your ideas with the help of mentors, attempt to experience what it takes to come up with a plan and business model, attractively pitch the approach and build something. Besides, you probably end up in a team with people who you have never met but this event is all about teamwork and collaboration, so you need to overcome social and nationality barriers plus, be a competent team. It doesn’t matter what place you get, at least you gained new experience, knowledge and, you can continue with your idea, or come up with an entirely new one and instead progress with this. Some will do better, but even if you don’t manage to build something that works – you will at least learned something. The basics what you need to follow to have a successful hackathon experience. 1. Listen to your mentors; they are there for a reason. Even if you have the best idea and are an expert in the field, if mentors suggest you read or learn something, it is wise to do. Whilst mentors emphasise with you that you are in a hurry and need to develop your product, yet there might be some valuable information there. 2. Team leadership is vitally important. You, as a team leader, must ensure your team work together and solve any communication problems. If your organisation is not working together or have cooperative concerns, take the initiative and remedy the situation. 3. Project management is equally important. You need to preserve your focus; you only have limited resources to implement your most critical elements. So, don’t worry about every detail, split up your essential tasks into smaller sections – this will better aid you in achieving your goals. You can’t get there if you don’t start with small steps. And significant problems are both distracting and overwhelming, drawing your attention away from implementation, and as a consequence, you spend your time worrying. 4. Money and a business plan are essential, yet don’t focus on fine-tuning irrelevant details. You must have an idea who is going to be your customers and how are you going to capture fees. Thinking “let’s hope that some big player will buy us” might occur, but what if it does not? You will not be able to obtain quick funding from investors if this is your only revenue plan. 5. Lastly, don’t concentrate on finance in extreme detail. There is little benefit in discussing whether your product should cost €160 or €170 if you already know that the price range should be €100-€400. Sure, you can go into much more detail and plan if you have time. But if the hackathon has only begun, no need to fine-tune your pricing model is just a distraction taking away your precious time. Is it really worth it to become a mentor? 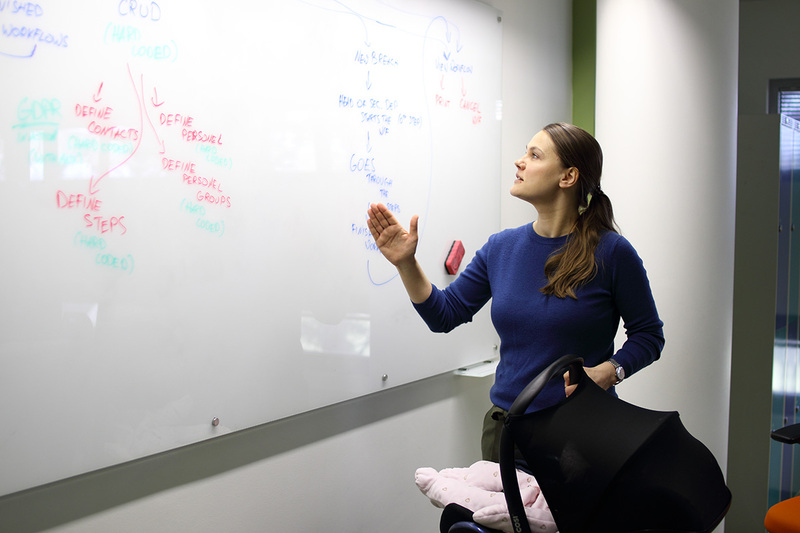 Mentoring in a hackathon is a really great experience, it is not only about sharing knowledge and supporting the teams, it is an intense learning experience for mentors as well. If you feel that you need some excitement, if you want to step out of everyday routine and challenge yourself, then mentoring might be a really great experience for you. You might get a lot of new energy, new ideas and excitement, but, be warned – you will also be quite exhausted a day after, or at least desperately needing some sleep. Also, mentors have a team, too – a great opportunity to enjoy good teamwork and meet really interesting people with different experiences and working methods. It is also an immense satisfaction to see how much a team can evolve within 48 hours and how it is possible to create a real prototype with considerable potential from a very vague idea. So, my suggestion to you if you get asked to be a mentor – say yes, at least once. Do not think of it as a way to impart knowledge to others – think more of what can you learn amongst other talented and enthusiastic individuals. 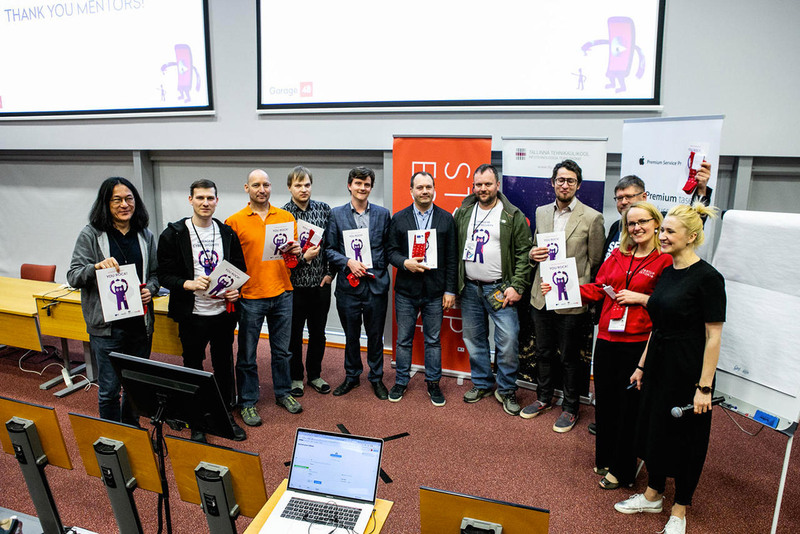 Garage48 Cyber Security hackathon´s team of mentors, picture from Garage48 blog.